Home How We Help What Do We Do? When a young person reaches out to our Office, we listen. Each and every phone call, email or message, no matter what the concern, is important. The calls and messages we receive from young people cover a range of issues – from complaints about being mistreated in a facility, to an invasion of their privacy or safety, or wanting to learn more about their culture or religion. Young people also call seeking answers to questions about their rights when decisions are being made about their lives. We conduct our advocacy work to elevate the voices of individuals or groups of children or youth in our mandate to identify issues, find solutions that take their views and preferences into account, and work together with them to promote action on their issues. We can also undertake systemic reviews, make recommendations, and provide advice to governments, facilities, systems, agencies or service providers to bring about change in policy, regulations or legislation. 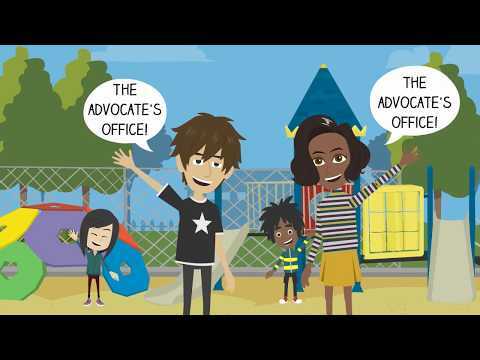 The Office can also investigate complaints concerning a child or a group of children receiving services from a children’s aid society (CAS) or a residential licensee where a CAS is the placing agency, and make recommendations to improve services. When all other existing complaint processes have been exhausted, we can assess complaints to determine when an investigation is warranted and, if so, lead individual or systemic investigations into matters including child deaths and critical injuries. Learn more about who we can help, what to expect and your Rights under Canadian law when you call our Office.